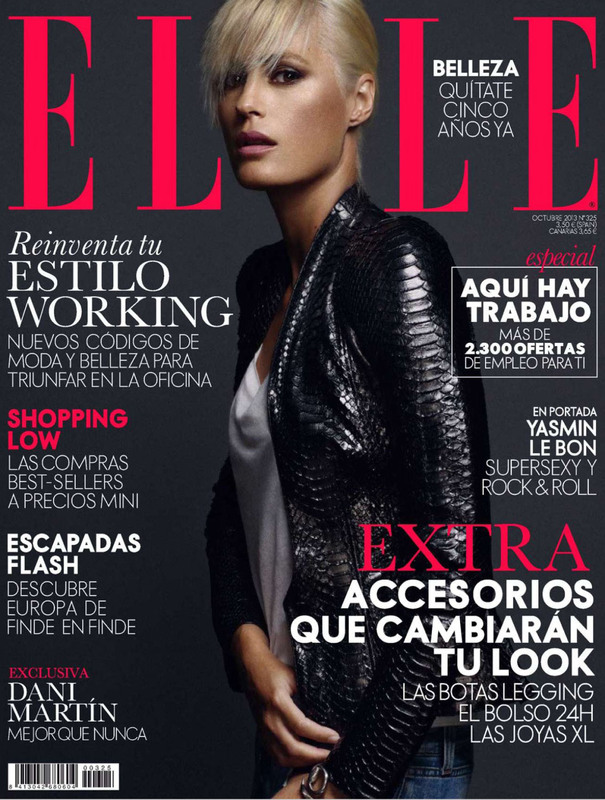 Yasmin continues to experience a career resurgence with her platinum rock-chick looks in the latest issue of Elle España, where she is also featured on the cover. It is her first cover for the magazine since July 1987. Photographed by Xavi Gordo with Elle’s fashion editor Inmaculada Jiménez as the stylist and hair and makeup by Vicky Marcos.